The android nougat brings tons of plethora features everyone would love to have. Google has completely revamped the way mobile android device looks and thus they’re really integrating lots of multitasking improvements to help better the android span life. Now the split screen mode which was officially introduced on the android nougat allows you to run two apps side by side without any hassle. However while this feature might seem to come in handy, it’s actually nothing compared to a freeform window mode which in turns gives you a detailed multitasking experience with the ability to have apps run on top of one another in a freeform floating window mode. Also Read: Top 5 Best Radio Apps For Android 2017. The new freeform floating window mode gives you the ability to move apps around the screen just like you usually do on your desktop. This is completely a great experience once you get to use it on your tablet with larger screen. Thus in this article, we’re going to unveil the hidden setting which turns your apps into a complete resizable freeform window mode just like the desktop like interface. To begin with, you’ve to first of all install taskbar from the Google playstore. 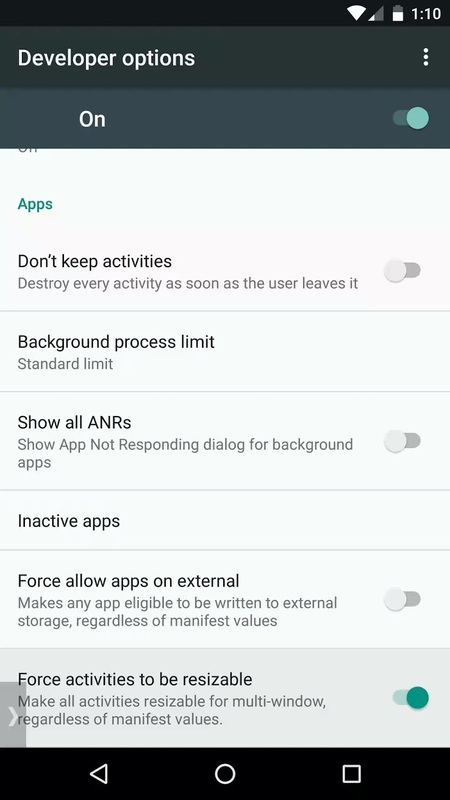 The app main function is to provide small pop up interface that let’s you launch apps in android nougats freeform window mode. Taskbar is completely Free and contains in-app purchase. Once the app installation is completed, enable taskbar service by toogling the switch at the top of your screen. Now you will see a drawer icon floating interface at the bottom-left corner of the screen which you’ll be using to launch the freeform window. 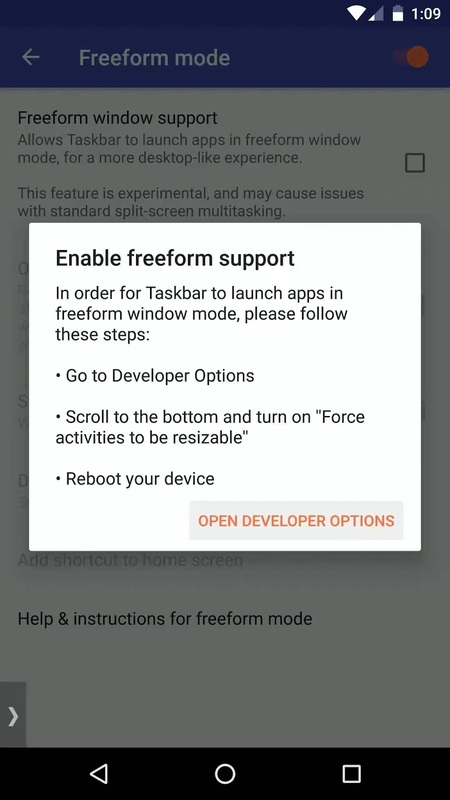 Now head over to the bottom of the app homepage and tick “freeform window support” option. Next select “Open Developer Options” from the pop-up. Then scroll to the bottom and enable the “Force activities to be resizable” option. Once you’re done, reboot your phone to activate the changes. Note: To enable the developer options, go to Settings->About Phone and tap “Build number” 7 times. Now once your device has rebooted, tap on the “taskbar drawer” icon from the homescreen. It will in turn show you a list of all your apps. 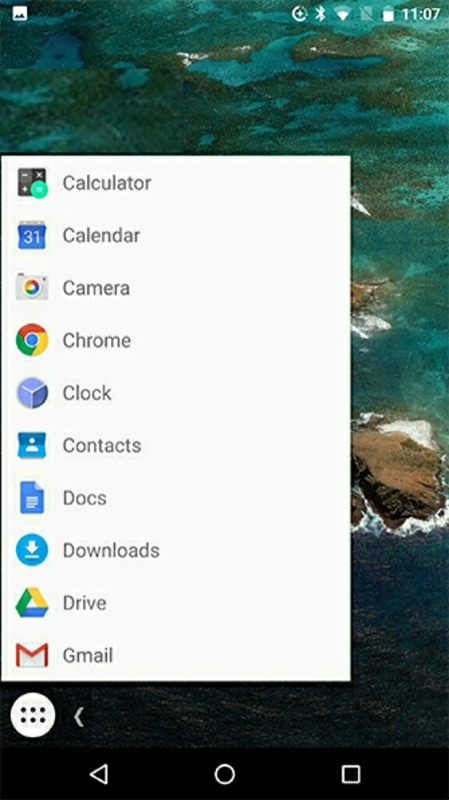 You’ve to ensure that your homescreen icons disappear once you tap on the drawer icon. If they don’t, wait for them to disappear or rather open “taskbar” and tap the recent app button and then tap the taskbar icon again. Next launch any app and it will open in a freeform window mode. You can launch as many apps as you’d like. However you’ve to be aware that the “recent apps”list should be cleared in other for this to work in a new mode. Once your apps opens in a freeform window mode, you can move them around by dragging the title bar. You can also close or maximize the windows using the “X” and rectangle icons. To resize the app windows, just drag them from there edge. 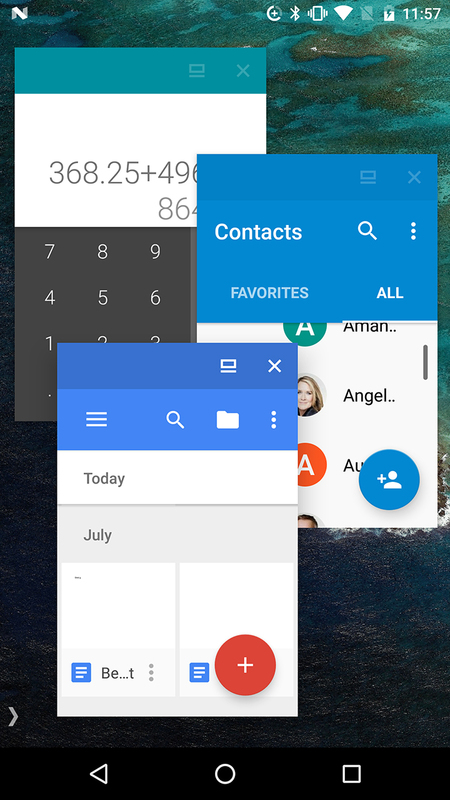 The android nougats freeform window mode proves multitasking at it’s fullest. While the experience seems a little bit buggy considering that android nougat doesn’t have this feature officially announced, most apps still works perfectly fine even on Lineage OS Nougat ROMs. Thus tell us if this new interface has improved your multitasking experience by using the comment box below.